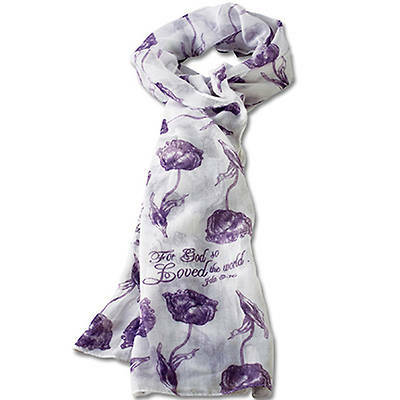 Lightweight fashion scarf, pretty in purple and white, features Bible verse John 3:16, For God so loved the world.... and is 100% polyester. A nice thank you gift for Christian teachers, guest speakers, women's retreat gift. Scarf measures approximately 19" x 67"